HubSpot CEO Brian Halligan introduced the flywheel in early 2018 as the new visual paragon for how to attract, engage, and delight customers. It was bold, it was visually simple, and it was brilliant! Also, according to Brian, it spelled the death of the funnel. Really? For at least the last 10 years, B2B companies embraced the new realities of buyers in a digital world. As they did so, the funnel became one of the most used representations of the buyer journey. It provided a common framework and vocabulary for the purchase process while helping to define the relationship between our prospects, the marketing group, and sales. 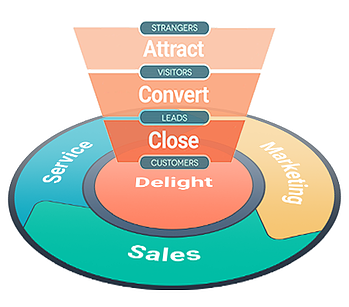 From awareness (attract) to interest (convert), to evaluation (engage and nurture), to commitment (purchase), the funnel shaped how marketing and sales interacted with potential clients and each other. Given the shift in the buyers’ control over the purchase process and the wealth of information they could access without ever talking to sales, marketing needed to step in and perform more of the early stage work that sales reps used to do. Marketing became the front end of the traditional sales process and the funnel became an important tool used by marketing and sales to work collaboratively. With its ability to define where prospects are in their buying process, what specific types of information they need at each stage, and what level of online or face-to-face interaction they’re ready to accept, the funnel is now a cornerstone to model how and when marketing and sales work cooperatively to close more deals. For many organizations, the funnel has been integrated into the sales pipeline. Together, the funnel and pipeline represent the flow of leads from prospects to opportunities and through to deals. But there continues to be friction between marketing and sales — one attracts and nurtures leads while the other qualifies and closes deals. High performing organizations are learning that when both teams work together, jointly focused on the real objective of revenue, total growth increases (38 percent higher sales win rates according to Hubspot). So why is it, just as we are beginning to see the payoff of marketing and sales alignment, that we want to ditch our common framework of the funnel and jump on the bandwagon with the flywheel? The answer is two-fold. One is about a business model for growth and the other is about market maturity. Let’s look at the business model for growth first. HubSpot ditched the funnel and “invented” the flywheel because their product roadmap and growth projections are based on extending beyond just marketing and sales. When HubSpot started in 2006, they envisioned a marketing automation platform that would transform how small- and medium-sized businesses attracted and nurtured leads (marketing focused). They strategically decided to not go upmarket and compete with the likes of Eloqua and Marketo. Instead, they would further support the needs of their client base, and their natural progression was into sales (CRM and Sales Pro). 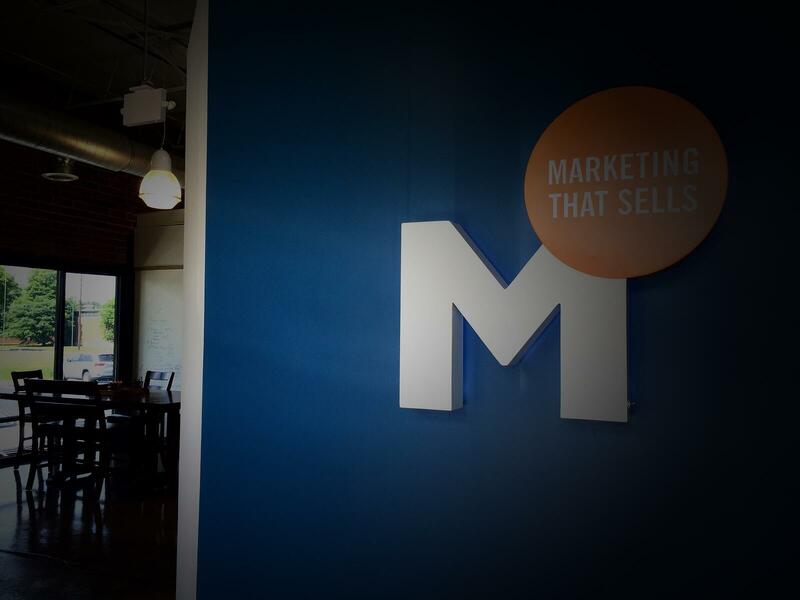 By providing a common platform for marketing and sales to work better together, HubSpot was helping to reduce the friction between these two organizations and helping clients grow faster. Win win. 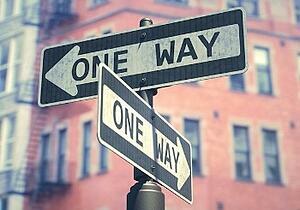 After HubSpot got a solid toehold in sales automation, what was next? Again, they looked inside the needs of their existing target market and the answer was … service. Eureka! Of course, clients need a better way to provide visibility and support across the customer lifecycle. Happy customers buy more, stay longer, and tell others about their happiness. Happy customers also contribute to revenue stability and growth at a lower cost of acquisition. These days acquisition costs are only going up. So if you’re HubSpot and your future growth strategy hinges on your clients adopting a holistic approach to attract, close, and support customers, then your funnel visual just doesn’t cut it anymore. Bye, bye funnel. Hello, flywheel! It makes sense that HubSpot needed a new visual — for very real business growth reasons — but what’s the other reason for the timeliness of the flywheel? Market maturity. For at least the past decade, as marketing and sales have been coming to grips with the changing buyer behavior, we have focused a disproportionate level of energy on acquiring net new clients. In many B2B companies, demand generation has become the sole focus of marketing, much to the detriment of other critical marketing functions like branding. As we’ve had to learn new ways to reach prospects and manage our interactions with them, many marketing and sales organizations have underinvested in deepening and growing relationships with current customers. But as the digital airwaves become as noisy, crowded, and expensive as the TV and radio waves before them, our current customers are looking more and more valuable. Just like we’re realizing the benefits of marketing and sales alignment, it makes perfect sense to also reduce the friction in supporting, servicing, and growing our current clients. The flywheel is a great visual framework to help companies integrate all the touch points. Thank you, HubSpot, for the flywheel. It’s a useful tool, even if it’s a bit self-motivated. However, the flywheel doesn’t diminish the value of the funnel. Hubspot didn’t invent the purchase funnel. It’s been around since 1924, and I fully expect it will continue to help marketing and sales teams work better together in the years ahead. As technology continues to shape buying behaviors and how B2B companies engage and support both prospects and customers, we’ll continue to construct frameworks to help us manage those interactions. The funnel and the flywheel will each play a role. Interested in staying up-to-date on the latest in sales and marketing strategy? Subscribe!